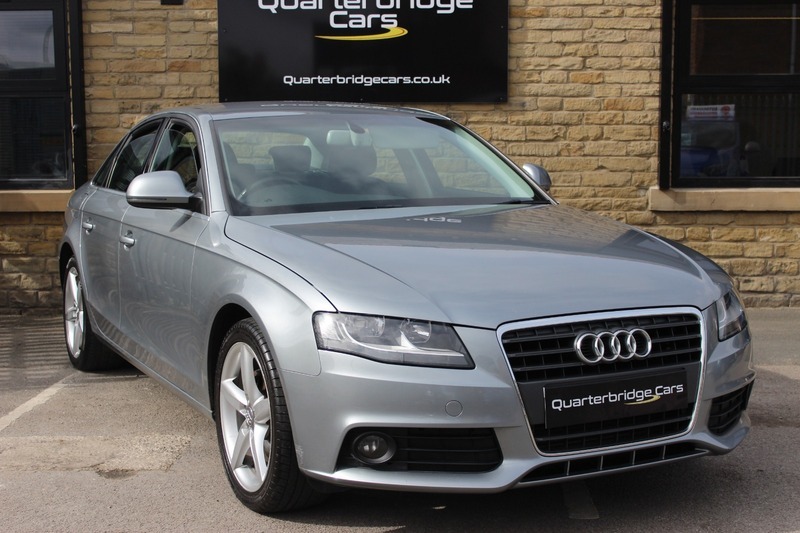 A MUST SEE Quality used Audi A4 TFSi for sale at Quarterbridge Cars, Brighouse Near Huddersfield. THE A4 HAS BEEN WELL LOOKED AFTER LOOKS AND DRIVES SUPERB. THE AUDI IS READY TO DRIVE AWAY TODAY!! You can put a holding deposit (subject to test drive) on the car and we will hold it for you till you get in to see it.